Old map by DU VAL - Les Tables de Geographie, reduites en un Jeu de Cartes. Title: Les Tables de Geographie, reduites en un Jeu de Cartes. Size: 16.1 x 21.1 inches. Condition: In good condition. Good and dark impression. Some light marginal foxing, slightly affecting the printed area. 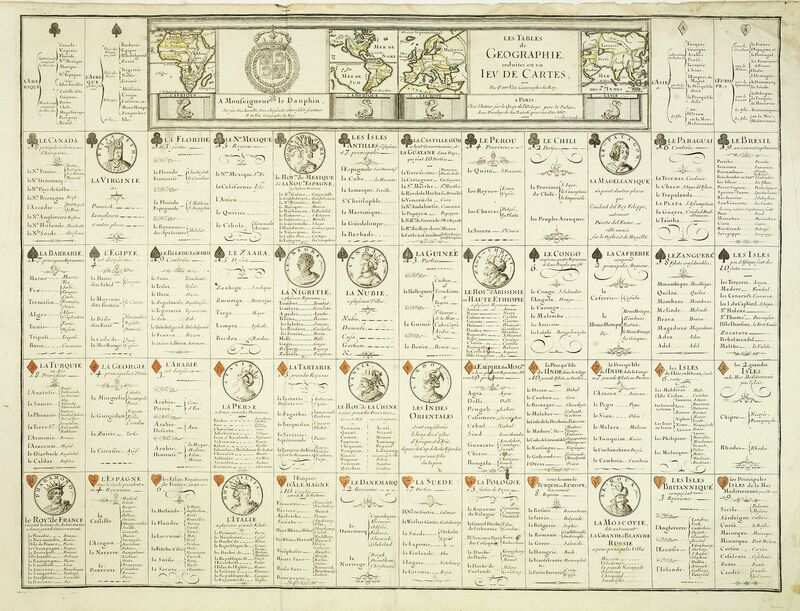 Uncut complete set of Pierre du Val’s rare geographical card game with 52 playing card maps. In top the four continents of America, Africa, Asia and Europe. 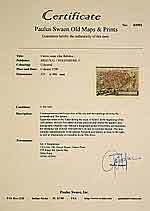 The last copy of a complete set that we could trace on the market was in map dealer Arkway’s catalogue no. 58, in 1991 for $2500.00.